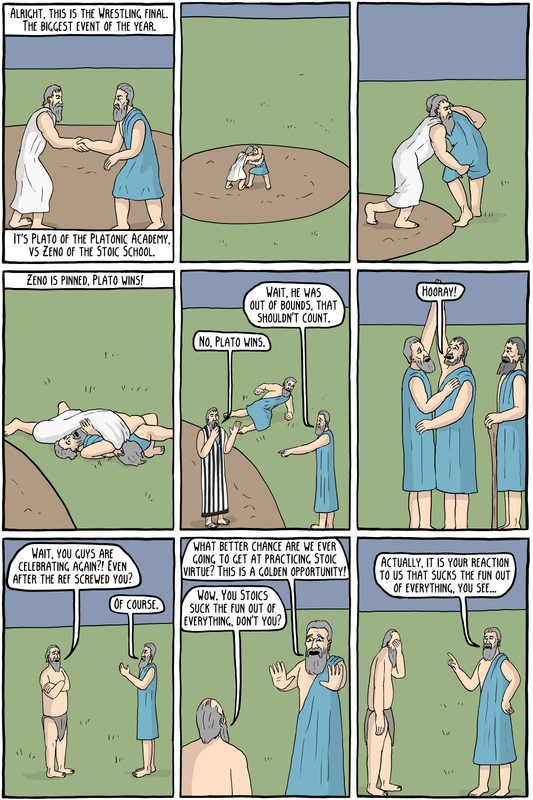 Although I bet even the Stoics would be pretty pissed off if they blew a 28-3 lead in the Superbowl. Every athlete knows that victory isn't something you can control directly, you can only control how you train, how you prepare, and how you compete. 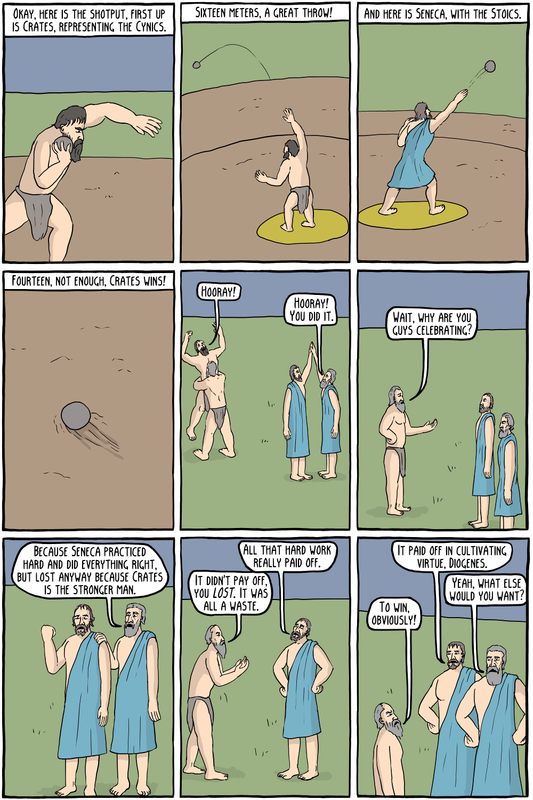 The Stoic philosopher would then say that losing should not bother you whatsoever, so long as you know that you did everything properly along the way. The fact that someone better came along, or you got injured, or slipped on the ground, or anything else beyond your control should not cause you any suffering or concern. You should only concern yourself with the things that you can effect.